Thank you - fine performances here. 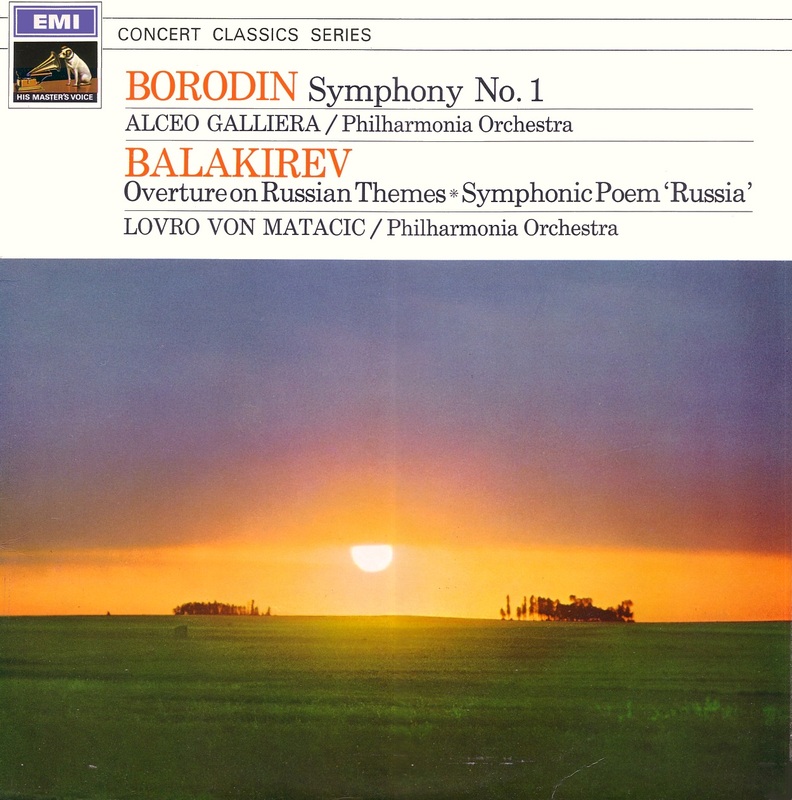 Too bad the Borodin couldn't be a stereo mix. 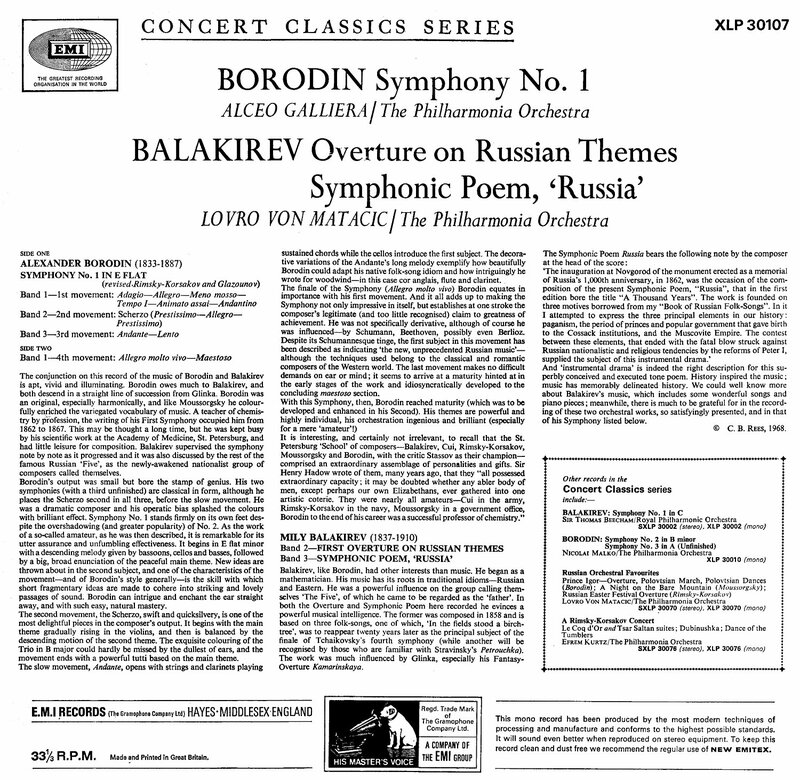 Possibly some parts were in stereo (after Malko's Prokofiev in February) but not, successfully, the complete score. Scanned this LP cover in 2010! 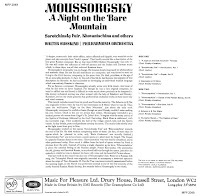 The Susskind generated little interest previously; but, apart from some pedestrian conducting in parts of Khovantschina, it's excellent - with a clear-view of many soloists. When it come to LP's, Mono (or a mono version of the Stereo) can be rather superior. 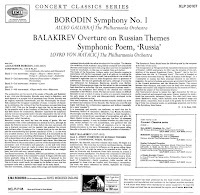 Was going to just upload the XLP (+ the Malko XLP Borodin 2/3 - until I saw they're on CDs: the 2nd rather a dull performance)- but the Balakirev had far too many 'defects' to repair: was unwilling to wet-clean a new 2nd copy. Kletzki has also fallen-down-the plughole; there seem to be quite a few never on CD. 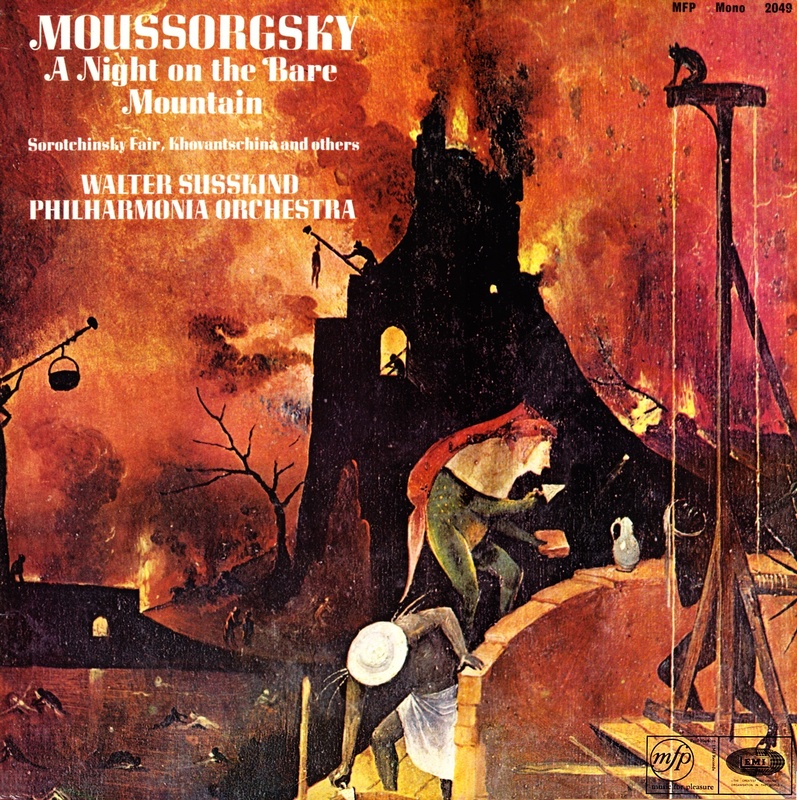 Susskind did a nice Peer Gynt, etc, on Columbia 33SX - but see that the stereo got a CD release. 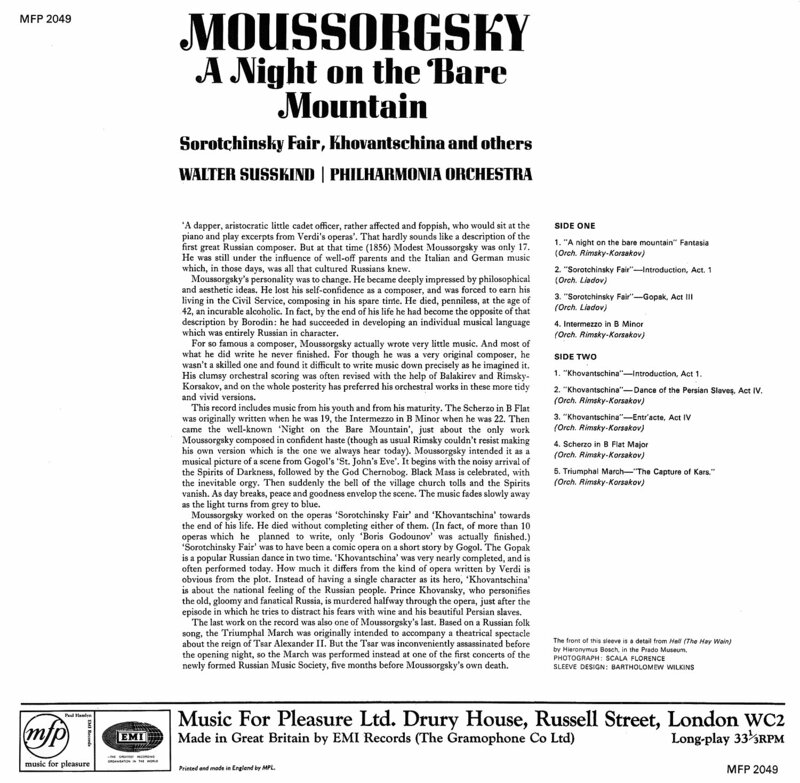 Tausky did 4 lesser-known French Overtures on stereo EP's - got released on SXLP30117; probably MIA, too.. Thank you and donation made! These caused quite some hours work -mostly removing infinitesimal 'nits'- (annoyingly missed a few early in 'Kars' - but Foobar/Flac always 'resolves' what isn't audible via Audacity - a very old problem: additional minimal Izotope inherently smoothes the sound - not what I want..
Theoretically could do Dobrowen's Scheherazade (etc): but it's over 60yo vinyl....Sargent's 1954 Rachmaninov Sym.3 is proving intractable - and that's merely a 1969 copy...EMI had a reputation for surface-noise during that era - so not much fun dubbing those! I don't have the original of that - or the Matacic; but the XLP was supposedly an improvement. Mussorgsky + Balakirev's dramatic 'King Lear' Ov. (Matacic's 2 are rather doggedly-played). 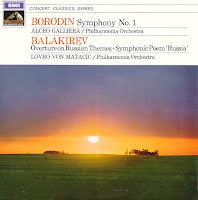 I don't know the status of Malko's Dvorak/Grieg - only have the 2nd disc - a possible companion to Lympany's Grieg PC) - Kletzki's Zampa/Merry Wives (45ep) probably isn't too well-known - the 33CX (+ MFP) Tchaikovsky/Ravel/Smetana may not be available... but it's too time-consuming to search for missing '50's Philharmonia on CD.